Chilling foods in a fridge is common practice that can lengthen the life of fresh produce, especially with some refrigerators offering NeoFrost technology. Chilled fruit and vegetables no longer have to be eaten within a couple of days. However, butter, eggs, chocolate, and mayonnaise are not quite so one-size-fits-all. For some, larders might be deemed unfashionable, but the act of keeping certain produce outside of refrigerated zones is still going strong. 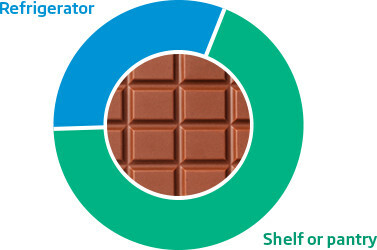 68.6% of our participants said they would store their chocolate on a kitchen shelf or in a pantry. Placing chocolate in an airtight container will protect it from any moisture and humidity located within your refrigerator. If you are keen on chocolate and chilli, chocolate and sea salt but less so on chocolate and onion, keeping chocolate in foil before refrigerating can prevent it from absorbing any pungent, savoury scents. The age-old debate surrounding the storage of eggs has divided the general public into two teams; chill eggers and warm eggers. 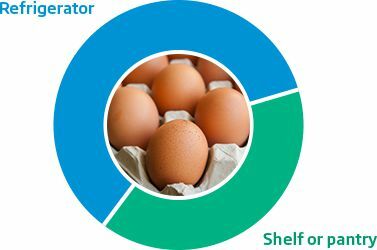 Chill eggers refrigerate eggs to increase shelf life and prevent contamination with 60% of those we asked would classify themselves as a chill egger, whereas warm eggers insist that storing in fridges can shake the egg’s fragile exterior and thin their whites. 1. A very fresh egg will sink immediately to the bottom of the bowl and lie flat on its side. This is due to the air cell within the egg being very small. It should also feel quite heavy – this egg is fit for consumption. 2. A slightly older egg (around one week old) will lie on the bottom of the bowl at an angle. It will bob up and down as opposed to lie still. This is due to the amount of air entering the egg increasing over time, by which it will begin to float and hold upright. 3. If an egg floats immediately to the surface without touching the bottom of the bowl, it is fetid and should be discarded immediately. The egg debate might begin with 'what came first… chicken or the egg?' deliberation but it continues with whether mayonnaise belongs in a fridge or on the counter. 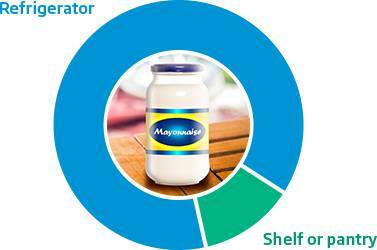 Considering the egg-heavy content of mayonnaise a staggering 86.6% of our participants store mayonnaise in their fridge… 26.4% higher than those who would store eggs in their fridge. The perishable nature of the eggs found in the condiment appears to have reaped more chill eggers. This may be for quality of taste as opposed to spoilage as keeping a jar of mayonnaise outside of the fridge in direct sunlight can cause it to turn brown. Whereas a fridge set at 4°C can maintain the quality of an open jar for up to two months. One final food myth we were interested in exploring is the home of butter. Those not in favour of hacking a hole in their bread first thing in the morning with a lump of chilled butter appreciate the spreadable consistency of butter kept outside of the fridge. Alternative vegetable-based spreads can leave your taste buds yearning for the rich, milky taste that only proper butter can provide. 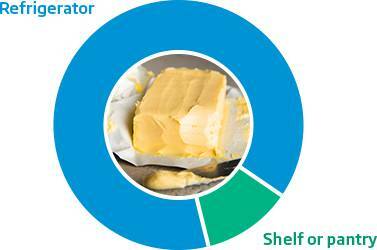 A whopping 88.4% informed us of their refrigerated butter tendencies. Keeping it covered makes it harder to go rancid due to its pasteurised cream contents, so if you, like the modest 11.2% we asked store their butter on the kitchen shelf, a covered butter dish can combine spreadabilty with quality. 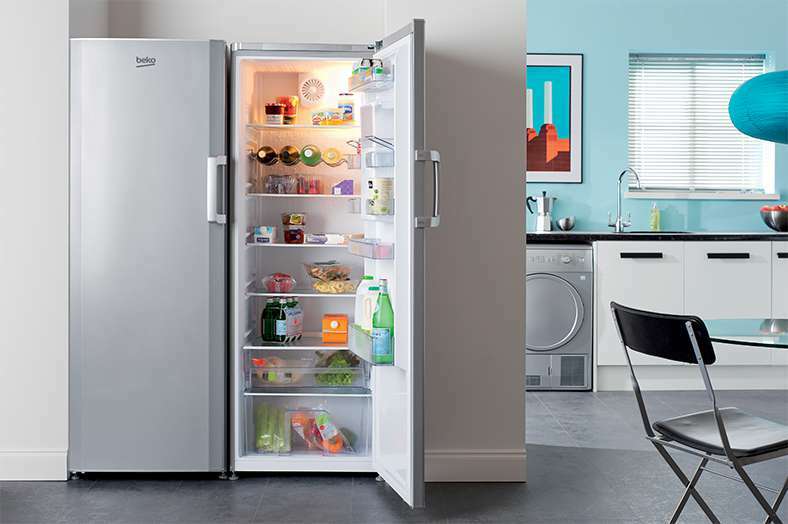 While our findings show a majority rule which champions the fridge, where do your storage tendencies fare in relation to the majority?